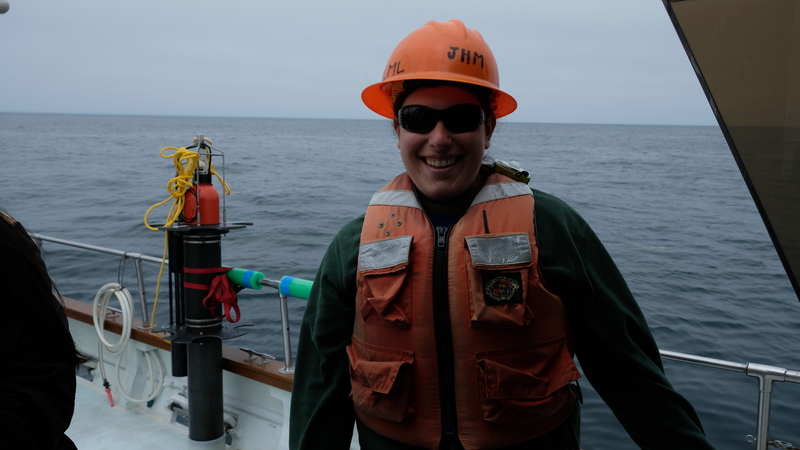 Last week I sailed on Moss Landing Marine Lab’s R/V John Martin for the first time! 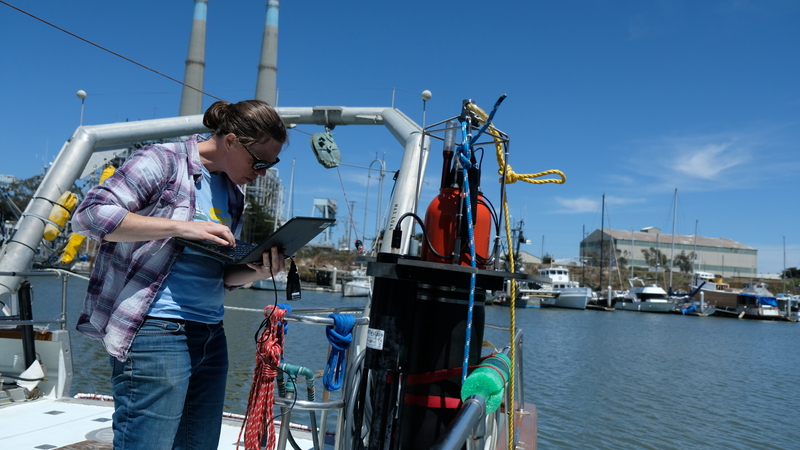 My collaborator Meg Estapa came to MLML to test neutrally-buoyant sediment traps that she has been building and programming in preparation for next month’s NASA EXPORTS research cruise. We wanted to perform a few more tests on these instruments before the big field campaign. 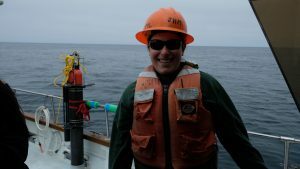 Monterey Bay is a great location for this type of work because it only takes about 1 hour of steam time for a ship to get into very deep water (due to the underwater canyon, and the narrow continental shelf on the west coast). We need to be in deep water for this type of work because these instruments are designed to sink to a pre-programmed depth in the mesopelagic, drift with the currents for several days, and then resurface. 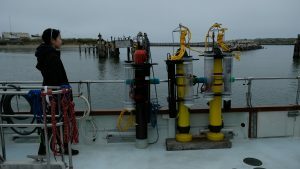 Since we were testing how these instruments operate, we wanted to eliminate the risk of the instruments hitting the seafloor. Fortunately, we had help deploying and recovering these instruments from MLML students Cindy Michaud & Holly Chiswell, SJSU computer science student Jessica Sheu, and SJSU physics student Victoria Hickman. MLML’s Tom Connolly also represented from physical oceanography. It does not escape my attention that we are testing these new sediment traps that measure carbon export on a ship named after John Martin. 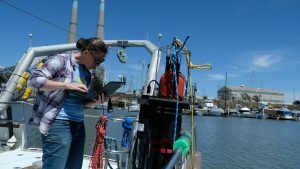 MLML’s John Martin and his students made some of the foundational observations and discoveries about the ocean’s carbon cycle and it is exciting to be continuing this type of research at MLML. Our work last week was successful thanks to the skilled captains of the R/V John Martin, John Douglas and Brian Ackerman.